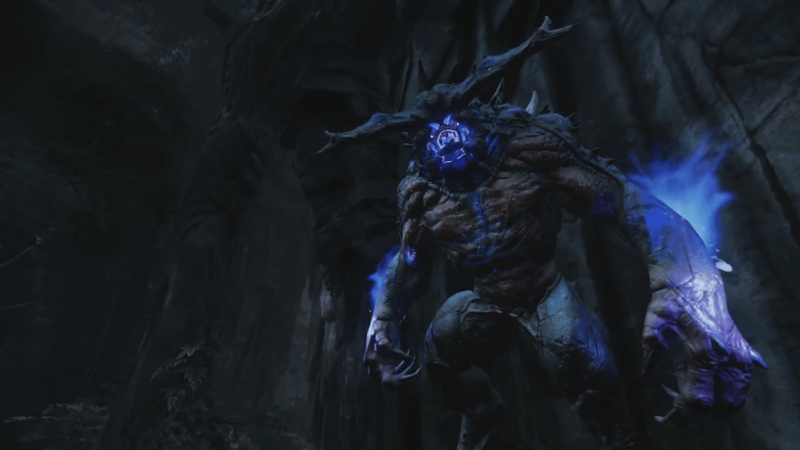 Evolve Stage 2's latest update, 2.11, has been delivered to the swarming masses, and with it came a couple more foes for the co-op crowd to mercilessly hunt down - the Gorgon and the Meteor Goliath. Neither is new, of course, as the duo was available in The-Game-Of-Which-We-Do-Not-Speak, but it sure is nice to have some more options when setting up a match in the game's new "Coop vs AI" queue. For those unfamiliar with the Evolve's gigantic prey, let's go through a quick rundown of the latest additions to Stage 2. 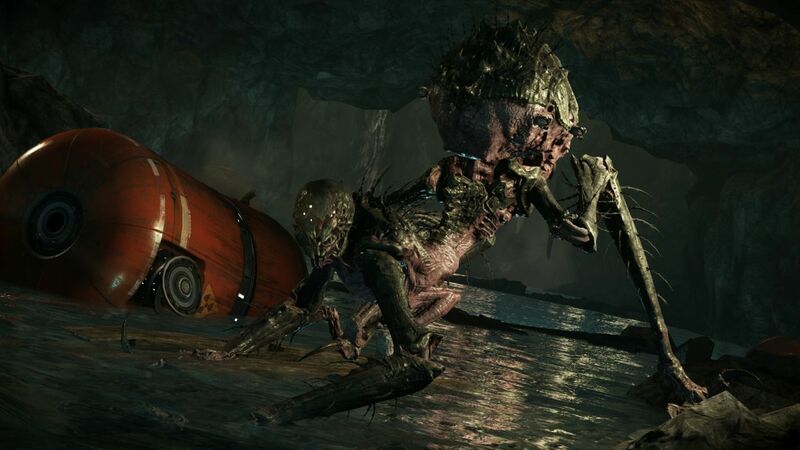 According to the game's wiki, "the Gorgon appears to show human-like characteristics as well as insectoid ones." Presumably, the "human-like characteristics" are referring to the two smaller arms attached to her torso as well as her human-ish head, but I'd listen to arguments for it referring to her sadistic nature. Making the most of her spider-y frame, she web-slings her way around the map and specializes in ambushing, confusing, and separating her hunters. Also, her abdomen is covered in small, pale worms. So, you know, that's pretty gross. The Meteor Goliath is an adaptation of the game's original monster. It sports better armor, AoE abilities, and mobility than its non-variant kin, but with those improvements come longer cooldowns. If you're planning on taking down the Big MG, I'd recommend spreading out as much as possible to prevent it from splashing its damage across your whole crew. The 2.11 update also makes a few unnamed improvements to the monsters' AI, so expect a tad more craftiness on the side of your prey. Numerous other changes came as well, which you can read about here. 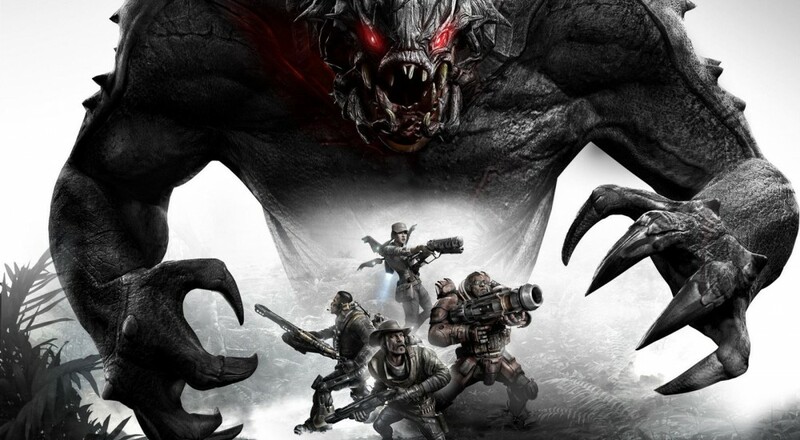 Evolve's had an arduous journey thus far, but Turtle Rock has done well to stick with its latest IP. Here's hoping Stage 2 brings more joy to both fans and developers. Page created in 1.4130 seconds.